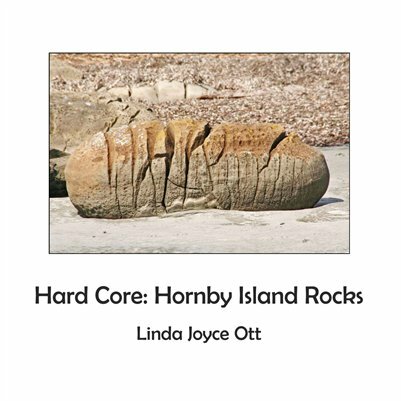 This portfolio of 42 art photographs by award-winning Canadian photographer, Linda Joyce Ott, showcases the rocks of Hornby Island. “Climbing over the sand dunes to Heron Rocks beach on Hornby Island, I was amazed to discover a ready-made sculpture gallery of primordial rocks scattered along the shoreline as far as the eye could see. So instead of lazily sunbathing, I spent the day blissfully immersed in photographing these remarkable stones. Over the next few days, I came across other boulder-strewn beaches on this small gulf island in the Strait of Georgia off the west coast of Canada. The timeless beauty of these primeval forms embedded itself viscerally into the very core of my being. I marveled at the way elemental forces had, over eons, transformed the Hornby rocks into organic and anthropomorphic shapes. Their variegated surfaces showed the endless wear and tear of life – some hacked, cracked and roughly weathered by storms; others sun-bleached smooth as bone fragments."